also a Hohner Cajun. Guaranteed Lowest Prices. The SofiaMari SM-3232 accordion has 32-Keys and 32-Bass bass notes and features a beautiful Itallian rhinestone pattern. It comes with deluxe straps, a bellows protector, and a hard shell case. This accordion is a great instrument for adding unique textures to your folk, tango, Latino, and world music. 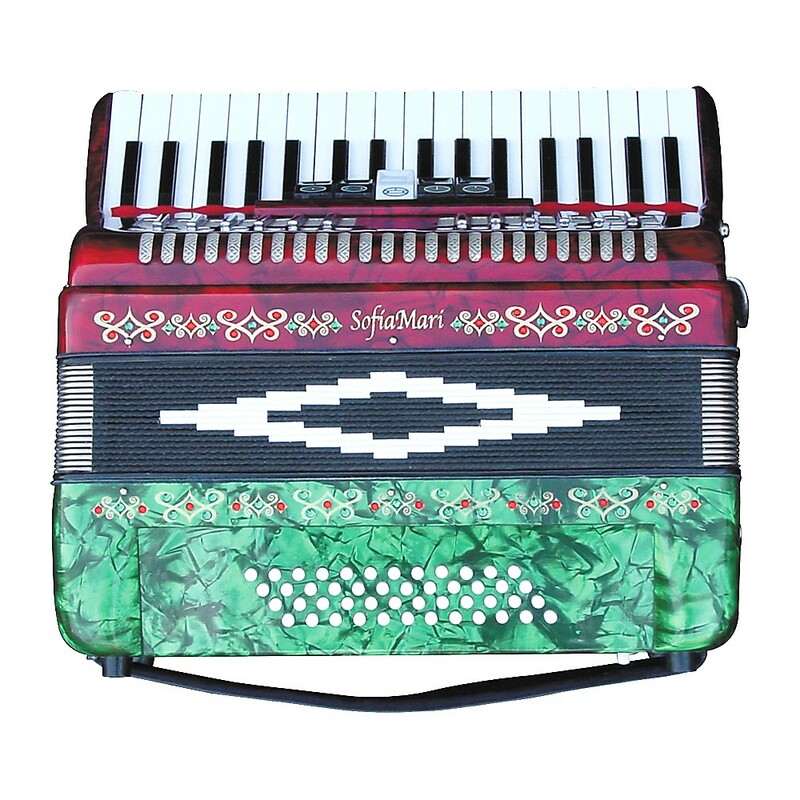 The SofiaMari SM-3448 Piano Accordion has 34-keys with 48 bass notes and 5 tremolo effects. The bass buttons provide counter-bass, bass, major chords, and minor chords. 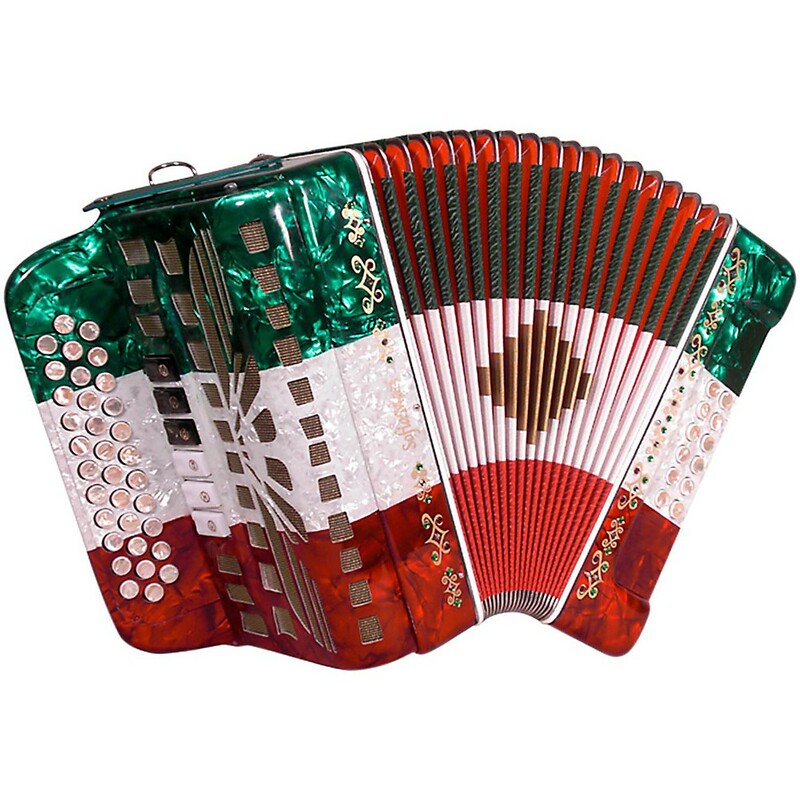 The SM-3448 accordion features a rhinestone pattern, deluxe straps, and bellows protector pad. Includes a hard shell case. 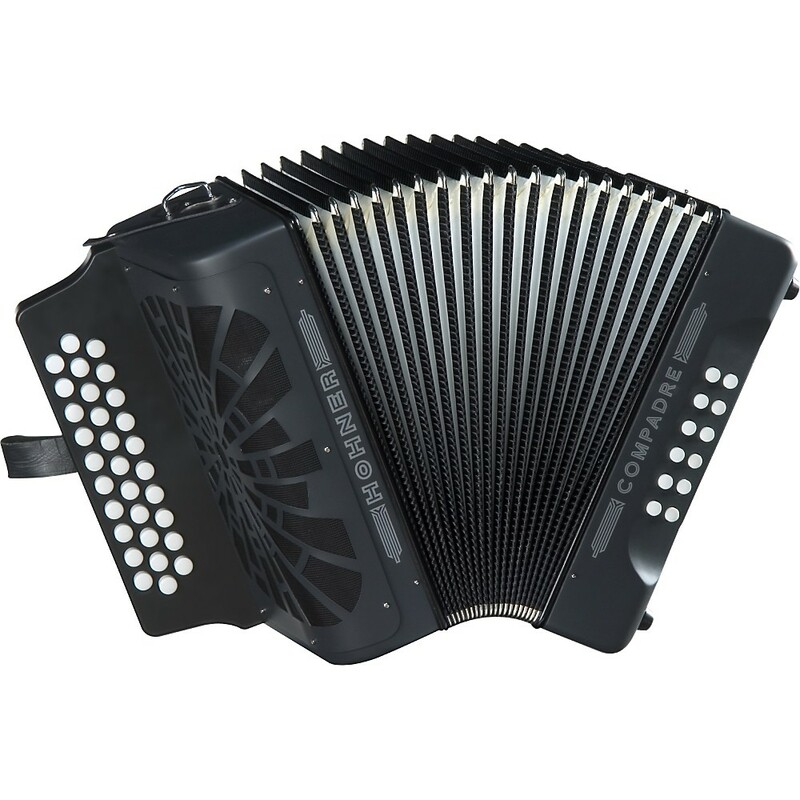 The Hohner Panther FBbEb Diatonic Accordion shares many of the quality features of Hohner's step-up diatonics with a lower price tag, including double-strap brackets, 31 treble keys, 12 bass/chord buttons and two sets of treble reeds. 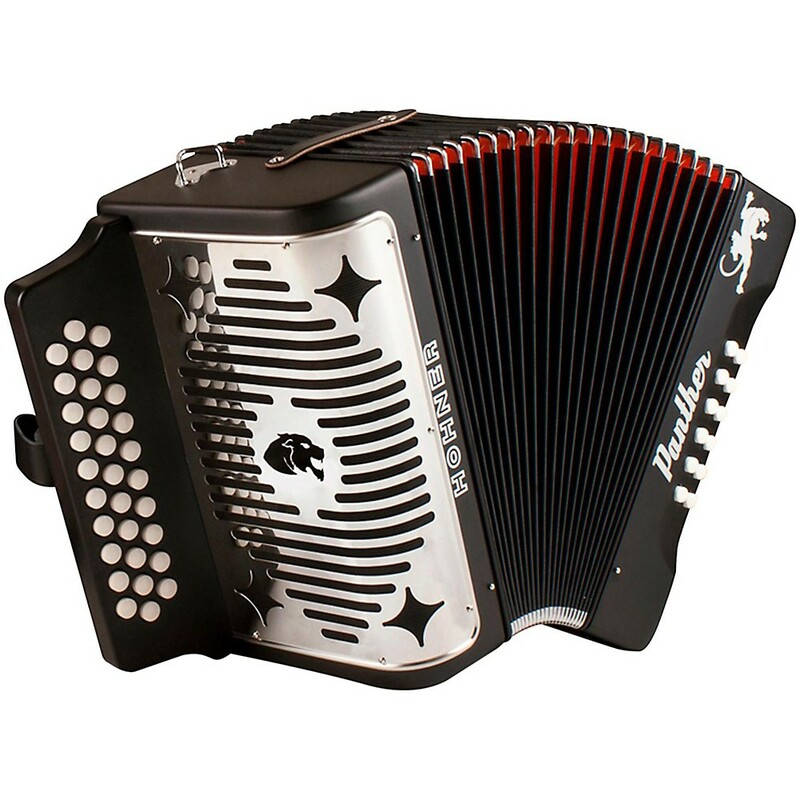 The Hohner Panther Accordion is 12" high x 7-1/2" deep and weighs 9 pounds. Plays in key of F/Bb/Eb. The whole world loves the unforgettable sound of the accordion. Heard in countless countries worldwide, this fascinating instrument has a timeless quality. The accordions' beautiful tonality is simply perfect in almost any musical genre. Take advantage of the great feeling and enjoyment that the accordion offers and develop your own personal style. 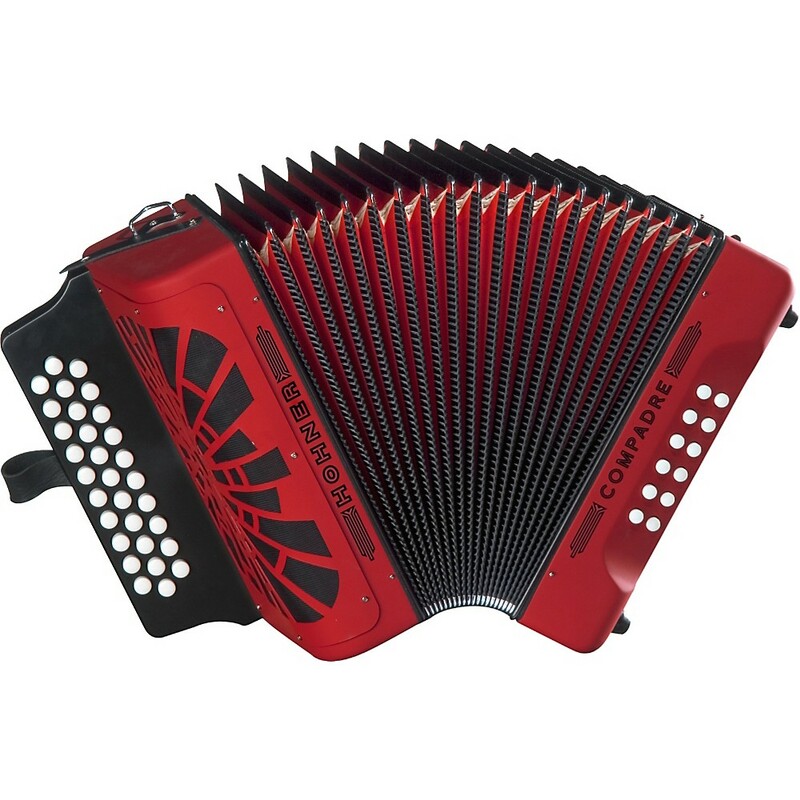 The Compadre Accordion is a three-row diatonic accordion with a matte paint finish similar to the Panther accordion but with an adjustable bass strap, a gig bag, and a set of straps. Perfect for intermediate players, or those looking to purchase a second accordion. 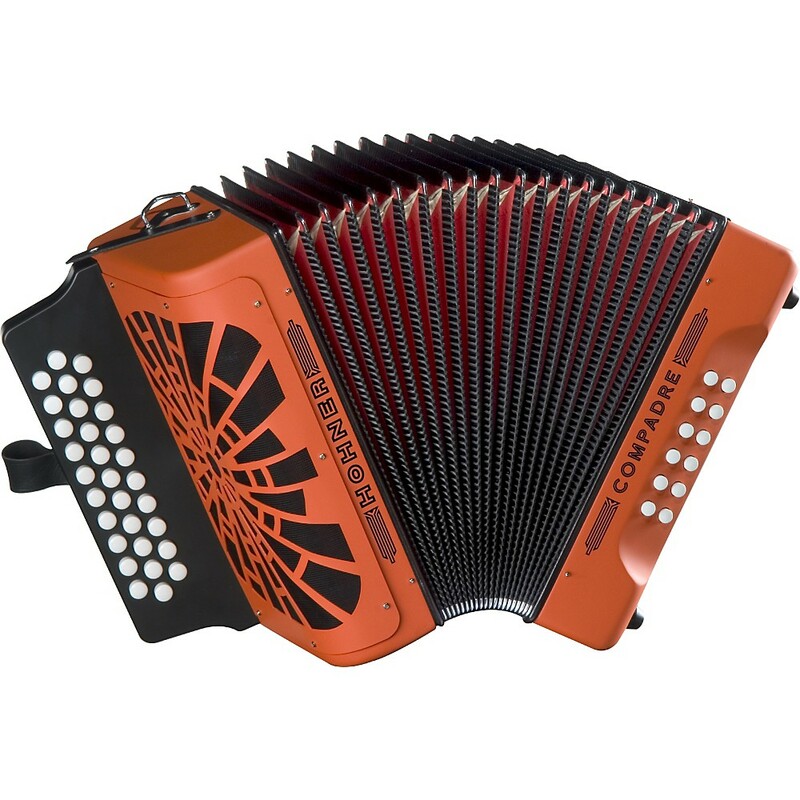 Every Hohner accordion is the result of over 100 years of experience in the design, construction, and manufacture of high quality bellows-driven instruments. Painstaking craftsmanship and the selection of the finest materials guarantee a consistently high standard of production. The combination of skilled workmanship and modern technology is known worldwide as the distinguishing feature of Hohner's high-end accordion and other instruments. Historical CAROSTA Rex Accordion with 168 bass buttons - not available.